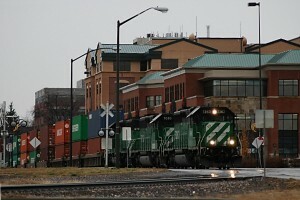 With only a few weeks left before federal railroad officials back in Washington decide whether it’s really necessary for train horns to be blaring night and day in Fort Collins and other Colorado towns, U.S. Sen. Cory Gardner is pleading with the bureaucrats to actually visit here before making a final decision. It’s not a far-fetched idea, asking officials to actually experience what they must decide before brushing a one-size-fits-all solution over us and handing out ear muffs. The clock is ticking, and Gardner is asking Federal Railroad Administration Administrator Sarah Feinberg to visit our fair northern towns before making the final call. We know it’s unusual for public meetings to be held here by federal agencies, unless national environmental groups want a say in how we conduct our energy business, but we’re crossing our fingers that railroad crossing rules be given the same consideration. Honestly, Coloradans have complained about this issue almost as noisily as the actual train horns that send us diving to cover our heads when they roll through town. With what hearing we have left, we’d very much like to use it to hear what Washington has to say about it, as the trains are screaming by.